Angel Apr 25 2017 8:02 am You're one of my fave actor! So cool and handsome!! bluelysia Nov 16 2016 5:56 am I love you Mamiya Shotaro! You're so charming! Hima Aug 08 2016 7:52 pm Mamiya Shotaro is the next star. Looking at him in Gakkou no Kaidan, he's stealing the show. And this year with the big movie Litchi Hikari Club and Kodaike no Hitobito, I am sure he has bright future. He has the eyes of an appealing actor. Nonette Jun 29 2016 2:27 pm Mu new crush on dorama world. Shiraiishi Jun 27 2016 10:41 am who else think that his face & personality similar to Uchi Hiroki? Soya Jun 04 2016 2:21 pm I know him from Gakkou no Kaidan...... he is hot */////* now I'm following Mr. Nietzsche in the Convenience Store ^^ ugh, I love him so much. blunty Aug 16 2014 10:06 pm this guy here is my new crush!!! i definitely watch suikyu yankees not only because of oryo, but also because of him :) good job, handsome eyes!!! 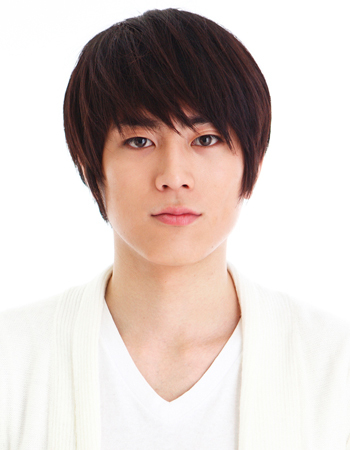 "_"
taijilove Dec 26 2013 12:29 am Shotaro Mamiya is too handsome!! I noticed him in Miss Pilot (most recent drama), but now that I'm into him, I'll definitely check his older dramas, like Hanakimi 2011. I guess, although his face doesn't change, his hairstyle makes him look handsome in some dramas and not so much in others. I like him in short hairstyle. Since he's still in his early 20s, I'm sure he'll get roles in dramas featuring highschoolers or univ. students or maybe young salary workers. So excited to see him in more dramas!! aushi Nov 17 2013 4:59 am why there's no comment about him? he is handsome enough fyi! now him from miss pilot, I guess this drama is going to be a good drama. go check it, even some people say it unrealistic.